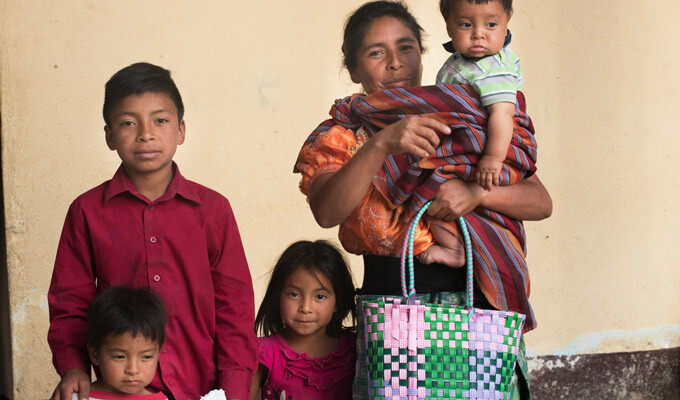 Guatemala is one of the countries with the highest rate of chronic malnutrition worldwide. SOS Children's Villages is supporting families to meet their children's needs. Guatemala is the country with the highest rate of chronic malnutrition in Latin America, and among the six countries with the highest rates world-wide. Almost half (46.5%) of all Guatemalan children under the age of five are affected. 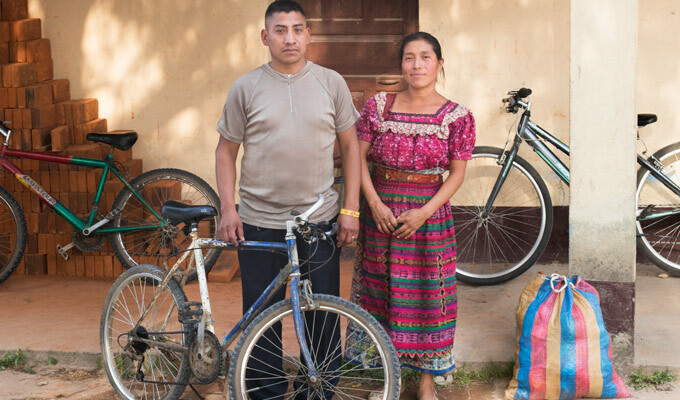 Additionally, high levels of inequality and poverty put many families in Guatemala in a situation of acute vulnerability. Two-thirds of the country’s population of around 16.5 million live on less than $2 USD a day. The indigenous population is disproportionately affected by a lack of resources as are women and girls, children and young people. The north-western Quiché Department is among the areas with the highest percentage of indigenous children (87.3%). It is also one of the departments with the highest prevalence of chronical malnutrition in children under five (69%). 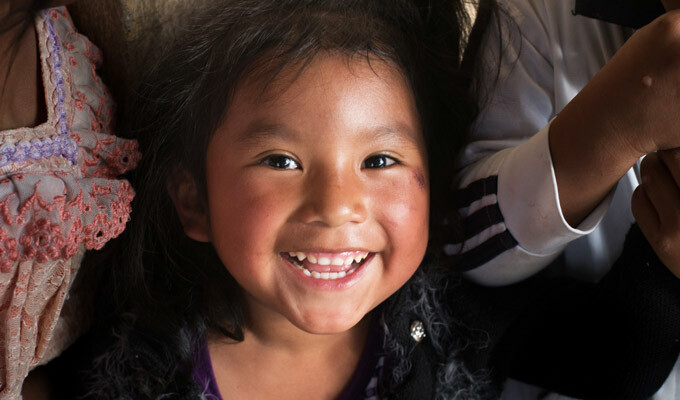 In this context, SOS Children’s Villages Guatemala supports vulnerable families in Santa Cruz del Quiché so they can adequately care for and protect their children. SOS support includes measures to help curb malnutrition in the communities as well as family development workshops, training community members to carry out early childhood development activities, access to literacy classes as well as educational activities to empower community leaders and foster communities’ organizational skills. 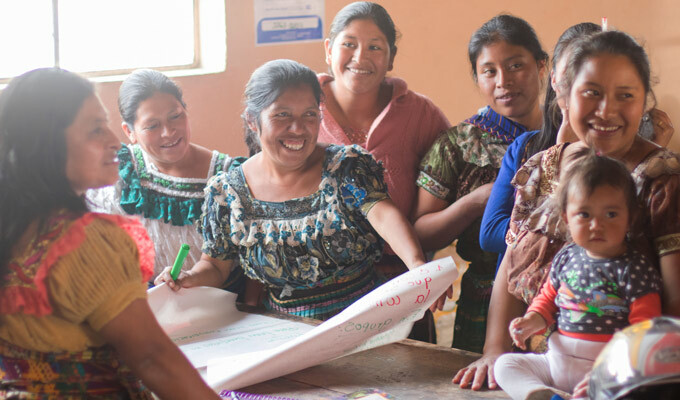 In Xatinap V, a community in Santa Cruz del Quiché, mothers are working in groups to discuss topics related to child protection, family life, positive parenting and community organization. The aim of the activities is to provide families with knowledge and tools so that they can build nurturing and safe homes for their children, support their children’s development and take care of their needs as children. Diego Morales is one of the SOS community workers. He knows each family and monitors the improvement in the family’s development, periodically visiting them in their homes. “We can see the change. And we expect that change because of the workshops we have given,”, Diego Morales says. Both parents are required to participate in parenting skills workshops. The fathers often work during the week and join weekend activities every other month. “In those workshops, we discuss different topics related to their capacities as parents, always focusing on child protection. We teach them about the rights children and young people have, or about the different forms of violence. We approach various topics so they can build their knowledge,” Diego Morales says. To help curb malnutrition in children, families receive food support every month. The supplies complement and help balance the families’ diet. Malnutrition is not only a result of a lack of food, but is also connected to eating habits and hygiene practices. 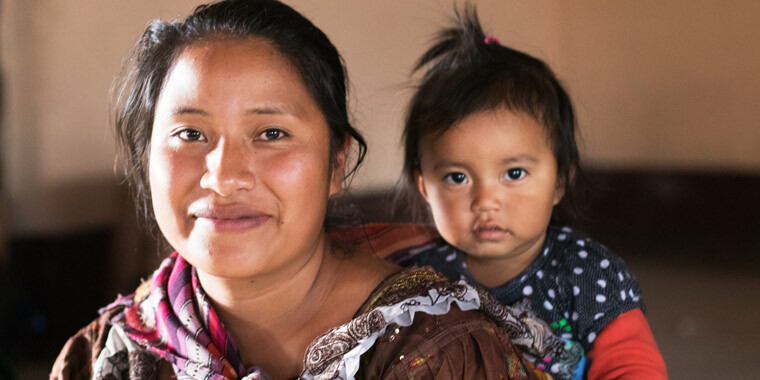 In workshops, mothers learn about what they can do to prevent malnutrition. Topics include household hygiene, prenatal care, how to keep a family vegetable and herb garden and how to prepare different and varied meals so the children get the nutrients they need. “It is not enough to tell them what to prepare and give them a recipe, which some of the women cannot even read. We help them put them into practice through demonstrations,” says Diego Morales. 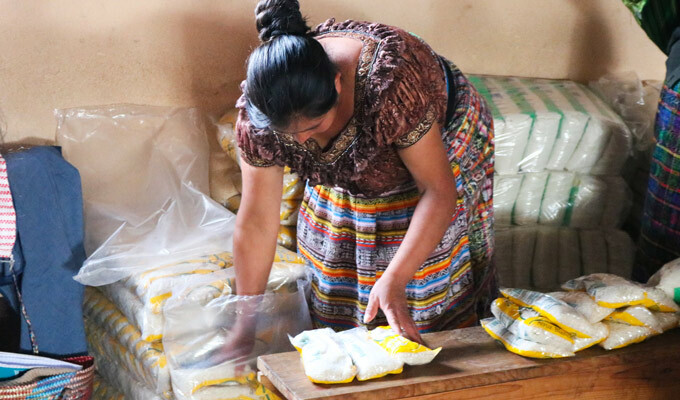 Complementary food supplies do not only ensure that a family has enough to eat, they also allow families to use their own limited income for other essential expenses, ranging from basic home improvements, medical costs and small investments to new income generating activities. Food supplies include staples such as rice, beans, sugar, milk powder and cereals. In collaboration with the Ministry of Health, the SOS team follows up on the children’s development. Children are measured and weighed every three months to assess the child’s progress and identify cases of developmental delays. Each family keeps a record of their children’s weight and height. When cases of delayed growth are identified, the SOS team works with the individual families to help them mitigate the risk of long-lasting effects of malnutrition. Strengthening families also means strengthening children’s cognitive and emotional development, preparing them for a life of future learning and healthy relationships. Girls and boys who are engaged in early childhood stimulation are more likely to develop their gross and fine motor skills, their language capacities, and their emotional and social skills. 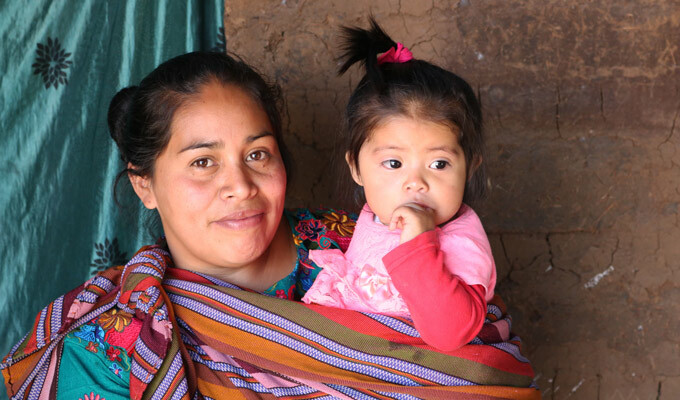 Verónica is one of ten women who is being trained to promote early childhood stimulation activities in her community. 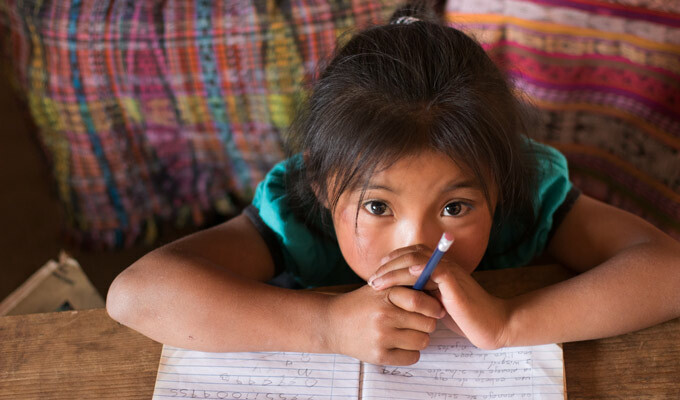 Women and girls are more likely to miss out on education in Guatemala. Families in the SOS family strengthening programs commit to sending their children to school - including the girls. Women who do not know how to read and write receive the opportunity to gain these essential skills. 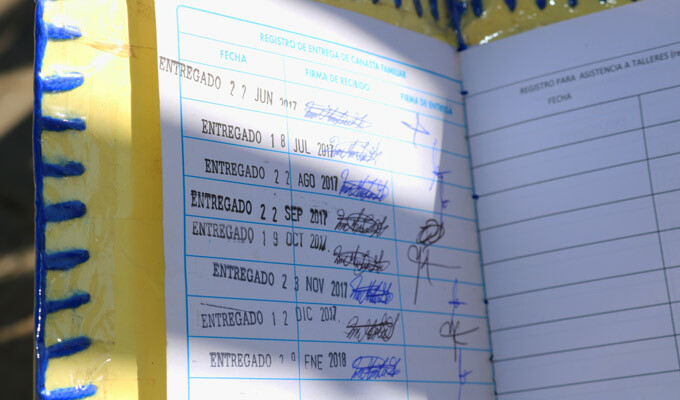 SOS Children’s Villages Guatemala works with CONALFA, a government entity, to provide access to literacy classes.